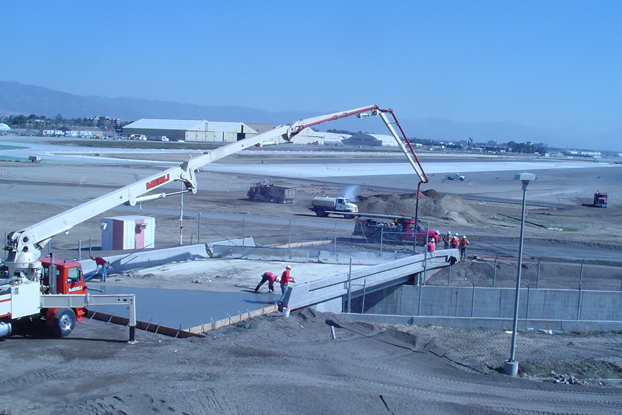 Ontario Airport moves over 6.5 million passengers every year, while freighting 575,000 tons of cargo. 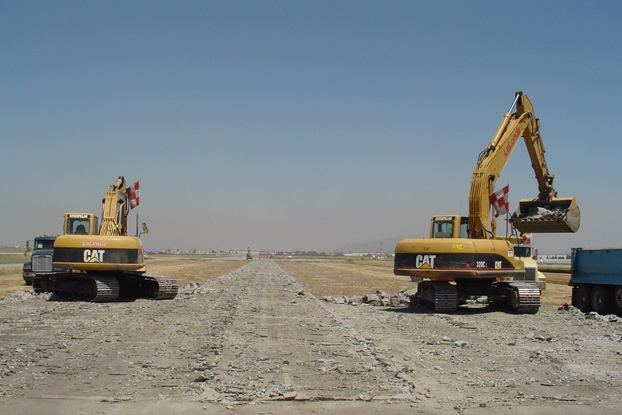 Griffith Company removed and replaced Runway 26R, over 12,000 LF long, while allowing air and ground access to open taxiways and runways, all under the watchful eyes of airport security. 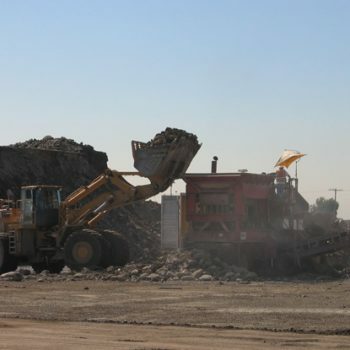 We removed and recycled 150,000 CY of AC and PCC, incorporating the crushed materials back into the project as aggregate base or aggregate for cement treated base. 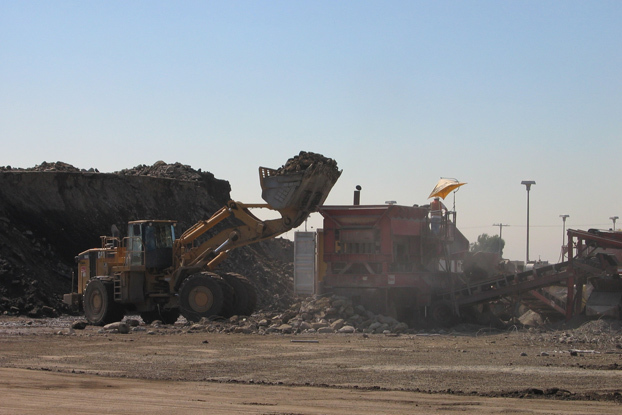 We graded over 200,000 SY so we could place over 100,000 CY of PCC paving all done in strict conformance with FAA specifications. 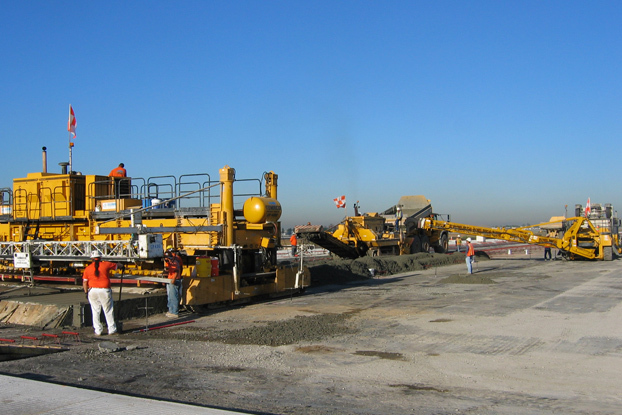 Our electrical subcontractor installed 450,000 LF of conduit while reconstructing the airfield lighting and signage adjacent to the newly constructed runway. 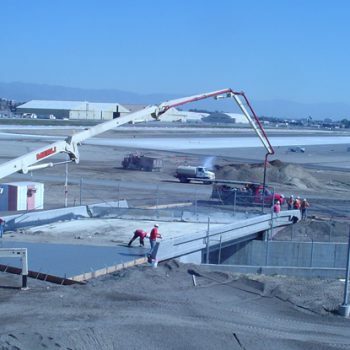 Other project components include new taxiways, access roads, two new reinforced concrete bridges, and the construction of a two-story vault building that housed electrical panels, transformers and generators for all the airfield lighting. 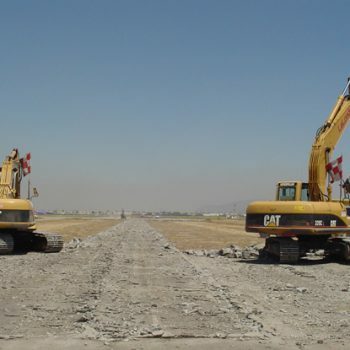 Midstream, the owner added $8 million of additional taxiway work to facilitate the arrival of the new Airbus 380 into service for many of the cargo companies. 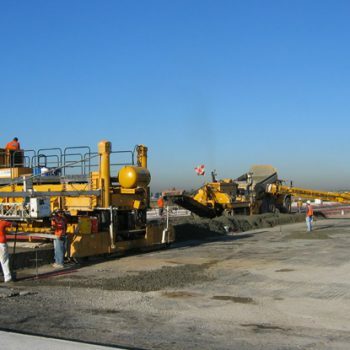 We were still required to adhere to the strict phasing requirements of the project and incorporate all the new work. We completed the project on schedule.